There are currently many police department job openings available. The first step is to call your local department or contact them directly through the Internet about their offerings. 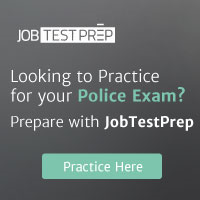 Police jobs fill up fast, so consider looking through state and national police websites, which provide you with contact information for many departments. If you have your heart set on working for a specific department, provide them with your contact information, so that they can contact you when there is an opening. Before applying for a job in the criminal justice field, it is important to check that you fulfill all the requirements.